The Wharf Hotel New Year’s Eve has always been a fun fun fun event. This venue has had all manner of themes for NYE from Sailors and Beach to Summer parties. And given the watery location in summery Melbourne it makes sense to use the assets of the location in the NYE party theme. Over the years we have heard great reviews of the NYE parties at The Wharf. And the parties always seem to be all inclusive packages and plenty of nibbles aswell, so you don’t have to keep dipping in your pocket. There are large bar areas so generally easy access to get drinks with great views up and down the Yarra River. 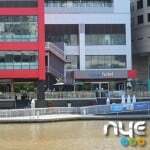 If you are looking to enjoy the festivities of party for NYE in Melbourne then check this venue out. Located on the north “city” side of Yarra opposite the Exhibition centre (Jeffs Shed). Reasonably close to most things and certainly just down from Flinders St Station near the corner of Flinders and Spencer Streets. There are plenty of accommodation options nearby. We have had Miss New Years Eve stay at the Crowne Plaza hotel right on the corner of Flinders and Spencer with great reviews by the Miss NYE participants. Great to be so close to things on New Year’s Day morning too! Always good to arrive at places on the Yarra in a water taxing and The Wharf Hotel is no different. There is berthing right out front. In terms of cars for drop off the World Trade Centre drive thru drop off area will be the best option. And then walk thru to the Wharf Hotel New Years Eve. Car parking is aplenty in the area but do be aware of road blockages closer to the event.